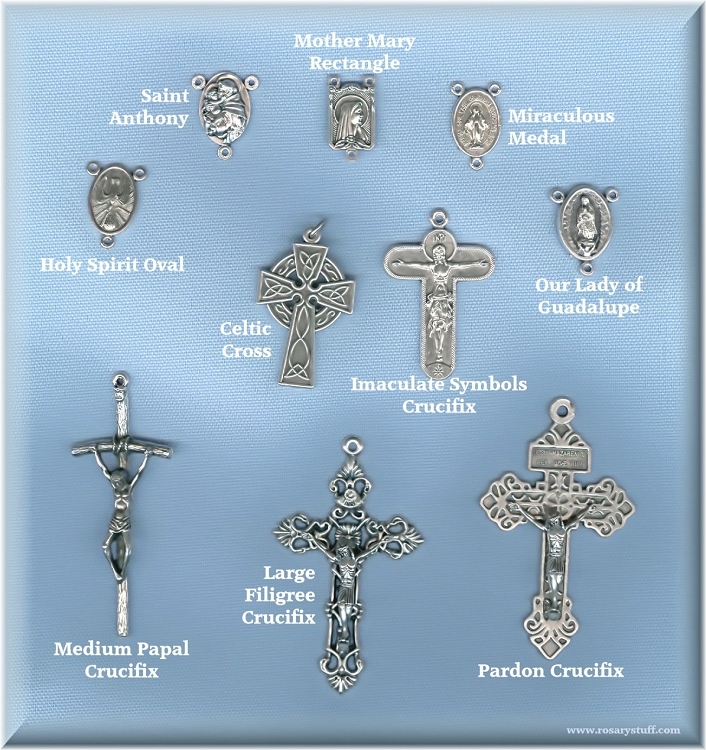 Step 1: Choose your beads. 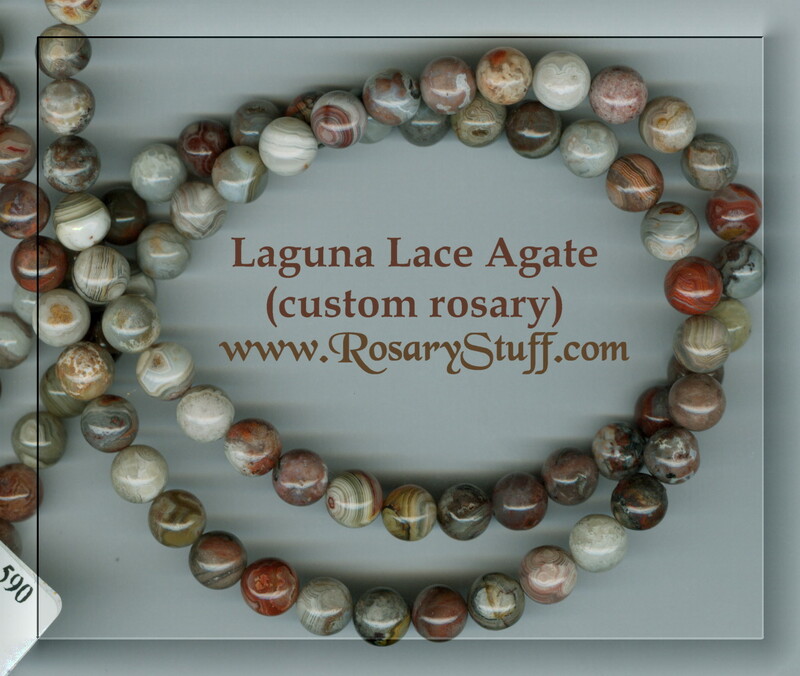 These 8mm round Laguna Lace Agate STONE beads will make a beautiful rosary. Laguna Lace Agate is a lacy variety of banded Chalcedony, in the Quartz family. Its layers contain shades of scarlet, deep red, milky white, gray, yellow, gold and brown. Usually banded in layers, or stripes, some beads have specks of color, "eye" markings, or may even be solid.